All San Miguel homes currently listed for sale in San Miguel as of 04/19/2019 are shown below. You can change the search criteria at any time by pressing the 'Change Search' button below. If you have any questions or you would like more information about any San Miguel homes for sale or other San Miguel real estate, please contact us and one of our knowledgeable San Miguel REALTORS® would be pleased to assist you. 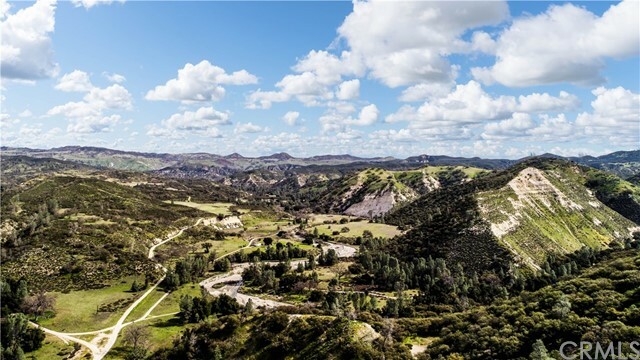 "A rare opportunity to own an incredible 3,061.8 Acre Private Ranch in Indian Valley. Located just northeast of the town of San Miguel in southern Monterey County. A Fully Operational Cattle Ranch the property is fenced and cross-fenced. Water is supplied by 2 wells and several springs used for the cattle operation. According to water well drilling experts, there is a high probability of access to large quantities of water for irrigating crops, vineyards, row crops, hay, etc. The property is not governed by any water use restrictions. Other amenities include: 3 bedroom and 2 full bath home, 2 bedroom and 1 full bath manufactured home, barn, metal shops, hay barn and sheds. These 19 subdivided parcels offer panoramic views, abundant wildlife, Oak dotted rolling hills, sweeping valleys, and several building sites to build your dream home." "Ranchita Canyon Vineyard With vast rows of lush grapevines and rolling gold hills, Ranchita Canyon Vineyard defines true California beauty. Located in Paso Robles Estrella District AVA, the expansive 320 acre property is home to 74 acres of premium red varieties from Cabernet Sauvignon, Cabernet Franc, Petit Verdot and Malbec to Petite Sirah, Zinfandel, and Sangiovese. A scenic retreat unlike any other, the refined setting features a secluded custom home atop a hill with panoramic views of wine country and a generous subterranean wine cellar perfect for the discerning palate. A 2 bed/2 bath Casita is located on-site along with with 2 immaculate mobile homes, 155+ producing olive trees, and open cattle land. Vacant land to the north includes four additional parcels. Ranchita Canyon Vineyard is home to a celebrated boutique winery and inviting tasting room with 5,000 case permit. The notable wine brand, associated inventory, and equipment are included for an additional $489,000. Detailed property offering package available." 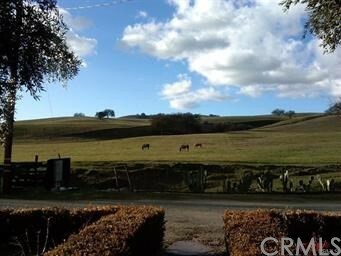 "Paso Robles AVA - 160 Acres Prime Vineyard Land / Ranch in Wine Country. Overlooking at spectacular vista of iconic Vineyards & Wineries - Ready to plant for premium wine grapes. 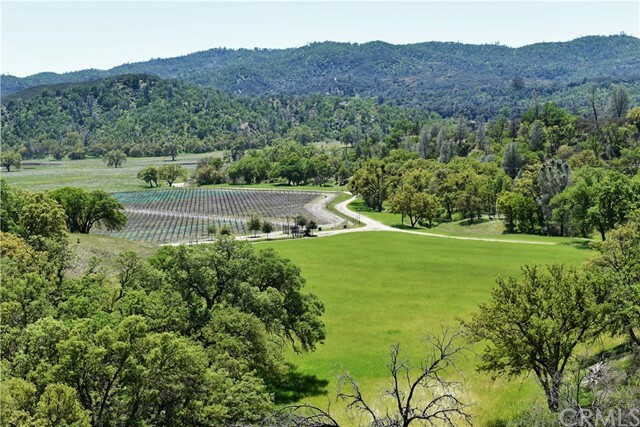 This property presents the opportunity for planting 130+ acres of premium wine. Excellent Soil & Water including Ag Well (400 GPS) - 2 Homes combined 2600 sqft + Horse Facilities. CONCEPTUAL DESIGN IN FINAL PHASE for an exclusive high-end Vineyard Resort, Accommodations, Golf Course, Vineyard, Winery including Multiple Private Estate Residence & Vineyard Villas! The vast frontage on Ranchita Canyon Road have great exposure and is suitable for Winery & Tastingroom. Panoramic vistas, rolling hills, South Facing with view of city lights! - Soil & water is completely engineered, tested for premium wine. 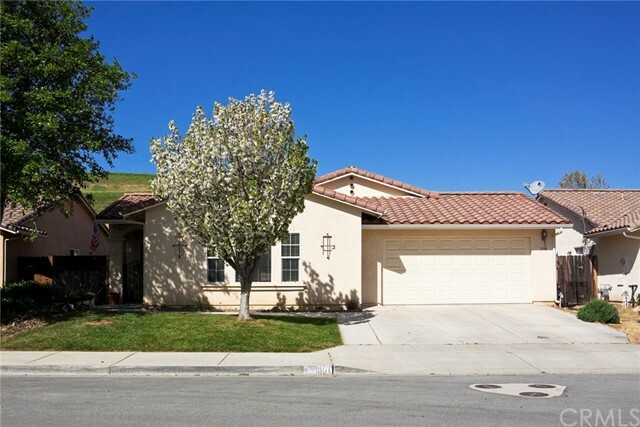 The property is only 5 miles distance from Paso Robles Regional Airport & a short drive away from downtown Paso Robles. Neighboring to the South is the prestigious-World class Villa San Juliet Vineyard & Winery owned by Producers of American Idol TV Show. The property is consists of 2 legal parcels 80+80ac - Sold together or separate. A must see property to appreciate the value & the difference!" 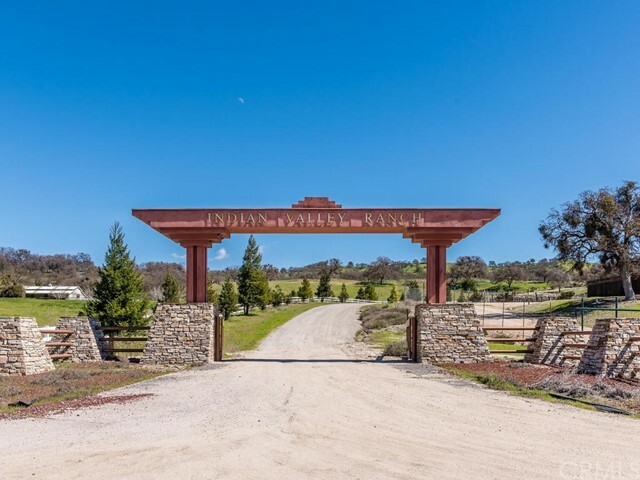 "This 480 acre ranch in South Monterey County is an outdoorsman s Paradise. Great hunting area including wild pig, black-tailed deer, tule elk, turkeys, quail, doves, coyotes and varmints. Hiking, horseback riding, running cattle, farming, motorcycles/atv s you name it this place is perfect for all of these things and more. A seasonal Creek runs through the bottom of the property where you ll also find a storage pond and an old windmill all surrounded by beautiful live oak trees. On top of the property is a large bowl with unbelievable views. Here you ll find deer fencing, a seasonal stock pond and flat ground lending itself to farming. The house is a 3 bed 2 bath 1,554 sq ft manufactured home with a wood burning stove in the living room. There are 2 wells with plenty of water storage and everything is run on solar. There s also a 30x50 shop with concrete floors, an insulated c train setup as a walk in cooler as well as a fully irrigated orchard with over 100 fruit trees. On top of all that it s in the Williamson act which is a great tax benefit. Growing up visiting a neighboring ranch I can say with first hand knowledge and confidence that this property will be the site of many great memories for whoever ends up purchasing it. When you get out here it s like you enter a different world where everything just slows down. Come take a look and see for yourself what I mean." 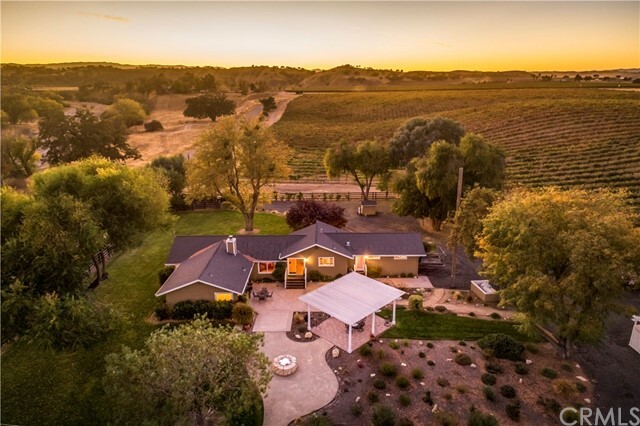 "For those with vineyard dreams, and seeking a peaceful refuge in the heart of wine and horse country, a property of this quality is rarely available. 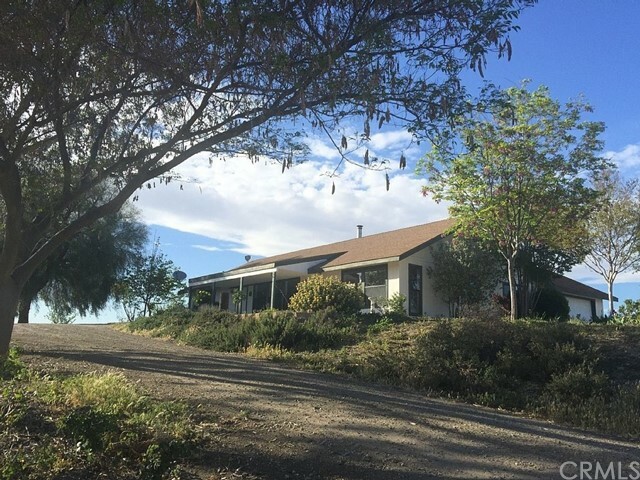 Perfectly located on 20 acres in the Paso Robes AVA, Estrella District Sub AVA on a paved road convenient to town. The 16+ acre vineyard currently planted in Cabernet and Syrah surrounds the charming compound providing income, tax write offs, wonderful views and privacy. About 4 acres of the Syrah have been recently removed and are in the process of being replanted with Sauvignon Blanc. Extensively remodeled in 2006, the lovely 4 bedroom, 3 bathroom country home was thoughtfully designed, built, full of light and feels brand new. The Cooks kitchen, hardwood floors, spacious rooms and beautiful finishes including travertine, and crown molding will delight. Custom Milgard triple pane windows and Extraordinaire wood burning fireplace help keep the home cool in the summer and toasty in the winter. Multiple doors open to the the park-like yard where beautifully maintained lawns, stunning mature landscaping, extensive patios complete with eating arbor and fire pit are perfect for relaxation and outdoor entertaining. The well-appointed apartment is perfect for extended family or rental income. The offering also includes a charming barn/garage, additional equipment storage structures, chemical shed, 4-H animal enclosure and a garden. Most of the furnishings and farm equipment are available for purchase separately." "UNIQUE , Newly constructed home on 80 breathtaking Acres. 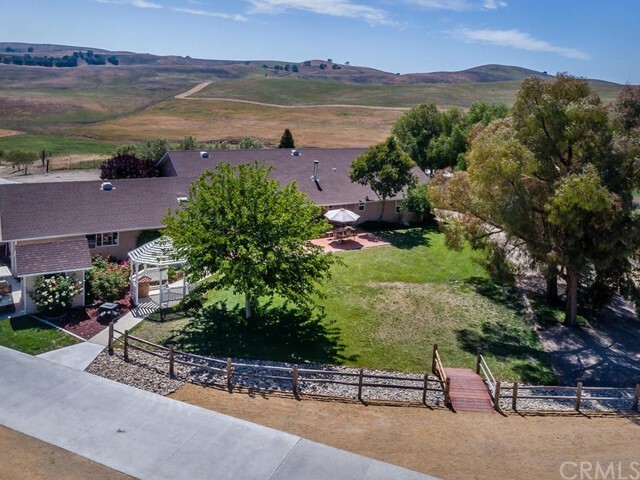 This piece of property looks out over Paso Robles, surrounded by estate vineyards. 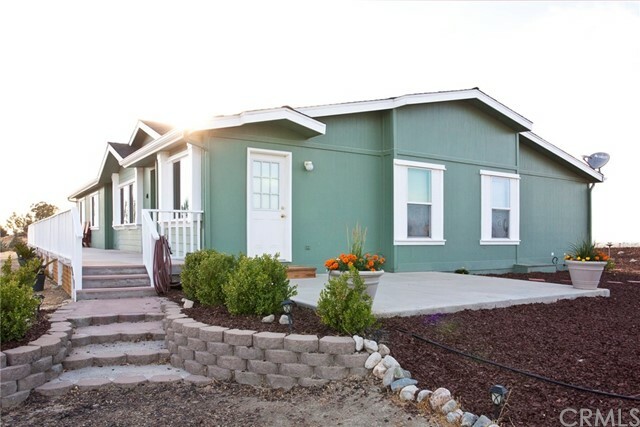 Located 5 miles from Paso Robles airport and 12 miles from down town Paso. The foundation of this property has lots of potential. It is perfect for horse back riding, dirt bike riding, hiking , camping, hunting, ect. There is a large 4 stall barn and round pen for your four legged friends. There is also a 1400 square foot shop attached to the main house. The shop includes a 1/2 bath, along with 16x16 insulated out building. If your looking for an investment, this place is for you. It holds extreme value and endless possibilities. For example, a possible vineyard, or retreat area. There is even room for agricultural purpose, and livestock of course. The land is also very abundant in wildlife such as rabbits, quails, deer and much more. So come build your DREAM home!! Or tasting room with winery over looking Paso Robles City lights." "360 DEGREE, TOP-OF-THE WORLD VIEWS! Magnificent views from virtually every window of this spacious, newly painted, 3000+ sq.ft. 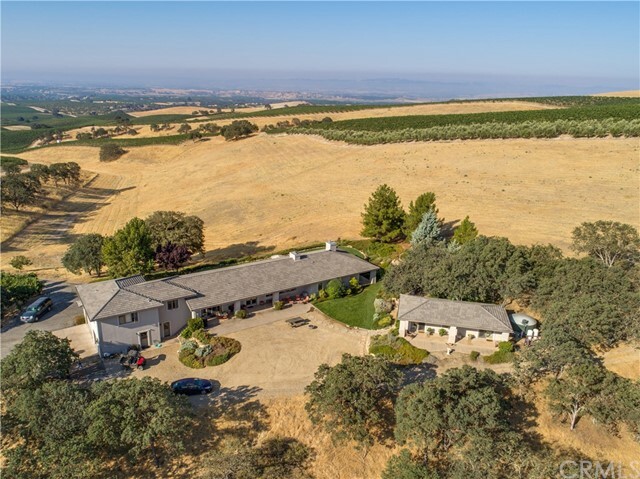 Mediterranean-style villa, tucked away on 40.5 oak-studded acres, overlooking Ranchita Canyon, and a mere 14 miles from downtown Paso Robles. Escape the city noise and traffic, and enjoy the sights and sounds of abundant bird life and other wildlife, on this serene and peaceful piece of property. Additionally, enjoy the wine country lifestyle at one of the many world-class wineries in the Pleasant Valley Wine Trail, literally just a few miles away. Downstairs is 1 good size guest bedroom, that opens to the patio, and an office that, with a closet, could be used as an additional bedroom. There is also a well-appointed guest bathroom, and a generous indoor laundry room. The spacious kitchen has a pantry, and the rest of the downstairs area has an open floor plan, with gorgeous tiled floors, lots of windows, and access to a covered patio that lends itself to entertaining. 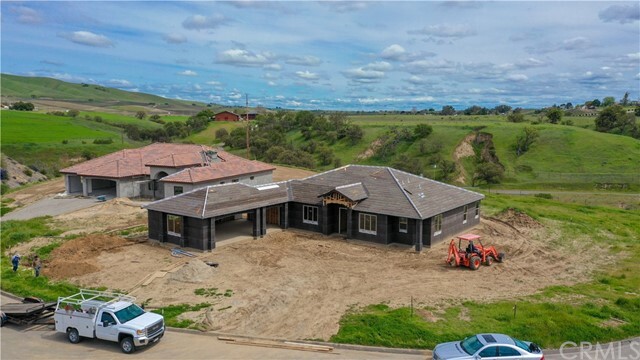 Upstairs is a large, private Master Suite, and an enormous Great Room, with built in bookshelves, cozy fireplace and doors that lead out to an upstairs balcony, with breathtaking views across the hills and parts of Paso Robles, in the distance. Need room for your vehicles and perhaps a toy or two? A very spacious 3-car garage is attached, and the acreage offers space to build a shop, or a guest house, or a horse facility. Lots of additional potential here for this lifestyle property!" "Enjoy the simply stunning views from this private 44+/- acre property. The house is 2,800+/- square feet with 4 bedrooms and 2.5 bathrooms. Each room features big windows bringing in the natural light. The 4th bedroom is currently being used as on office and does not have a closet. This cooks kitchen has lots of counter and cabinet space in addition to the walk-in pantry and additional storage in the generously sized laundry room. There is a half bath located off the mud room. Currently, the garage is being utilized as a craft and storage room, but the garage doors can be re-installed. Outside you will find an 1,800 square foot shop complete with state approved Olive Oil Bottling Room and a bathroom. The land is gently rolling with approximately 7 acres of producing Olive Trees (Arboquina, Lucca and Mission), planted between 2006 and 2009, now in full production. The balance of the land is open for pasture space with a small area of barley planted and a seasonal pond. The seller markets their oil at local farmers markets in addition to a few other shows, if you are interested in producing your own olive oil, the seller has already paved the way. The olive trees create a great back drop for weddings if someone is looking for a wedding venue. If you are looking for land, but not the olives, the seller has sold some trees as landscape features for $400 per tree, they have over 2,000 trees planted." "HORSE ~ CATTLE & HAY +10 ACRE TURN-KEY VINEYARD! Extraordinary property with something for everyone. A unique combination of quiet country living with a 10 acre vineyard, horse facilities, hay operation and a lovely 1,280 Sq. Ft. 3-Bedroom, 2-Bath Mfg Home. This home is mindful of ranch life, with a mudroom/laundry and pantry off the kitchen with a wrap around bar. The open floor plan has vaulted ceiling, gorgeous fireplace and the most amazing views thru the large windows was designed for family and entertaining. The 2 guest bedrooms are on one side and the master suite with an on-suite bath is on the other side. The land is ready for a grand horse or cattle facility, and there is a lovely building site to move the Mfg. Home to if one desires to build a larger home. Currently, there are two pipe corrals and tons of flat land to build an arena, barn, etc. Power is underground from the vineyard gate to the residence. Well settled into the California Western Culture, your arrival will draw in a sense of welcoming old west charm with spectacular beauty, privacy, and a quietly cultured population. 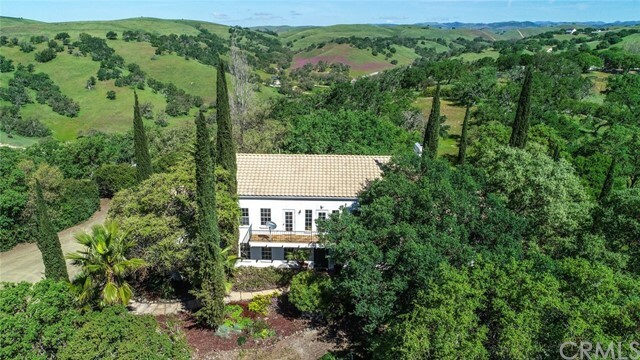 A unique property combination while 1/2 way between L.A. or SFO and 30 minutes to Paso Robles for fine wine & dining. The fully deer fenced vineyard is planted in Grenache, Mourvedre, Petite Sirah, Syrah, Tempranillo & Zinfindel. Please request a complete detailed fact sheet as there is too much to cover in this form. Maps, etc are included." 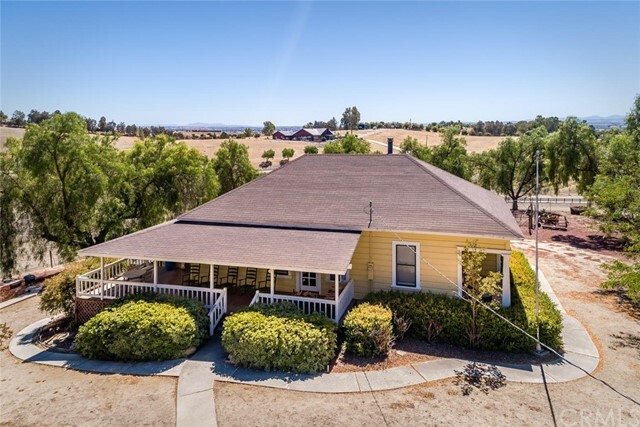 "This charming 2Bd/2BA 1925 farmhouse, updated in the 1980's, offers serene country living and is nestled in a unique NE Paso Robles location, just minutes from town, on a gently rolling 20 acres with with two separate APN numbers. With paved road frontage and near wineries, the home could be used as a tasting room, vacation rental, event venue or personal residence. The wraparound porch offers panoramic city, vineyard and sunset views and inside there's a free standing wood stove to keep you cozy on cold winter nights and a special dining porch to accomodate large gatherings. The oversized garage has an unfinished guest suite and outside there is lots of space for late night stargazing, gardening or family get-togethers. Fenced pastures for horses or livestock or the parcels would be suitable for vineyards or olive orchards. The original barn and workshop on the property add a rustic ambiance. Information deemed reliable but not guaranteed." "Welcome to this beautiful contemporary styled home. The home sits on a 1 acre lot on The Bluff in San Miguel and has panoramic views in almost every direction. Offering 2495 sqft of living space with 4 bedrooms and 2.5 bathrooms and a long list of amenities. This home is new construction and is currently being built. We have a late June expected completion date. You absolutely must see this home and the incredible views it offers. 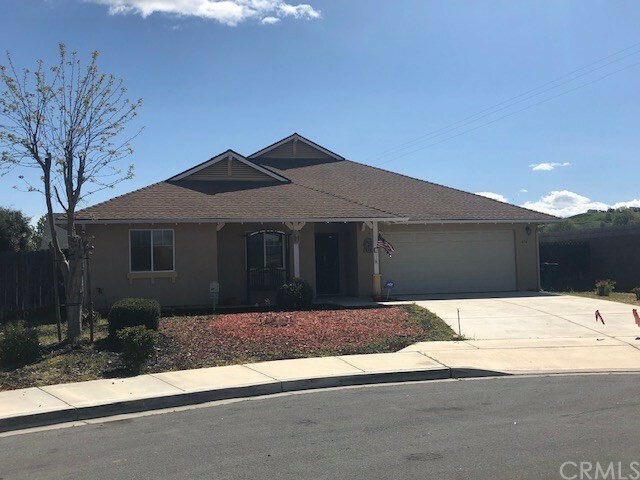 The home will be highly upgraded with quartz countertops, stainless steel appliances, Shaker Style cabinets, a large Kitchen Island, Milgard windows, Tankless water heater.....etc. This is a gated 12 lot subdivision and there are no other subdivision like this in San Miguel." "Move-in condition home at the top of Lazy Hill Rd. with panoramic views of the foothills and nearby orchard with vineyards. Several stalls for horses and fenced for other animals. Great growing area with beautiful olive orchard next door. If you have been looking for that perfect family home with lots of open space, or that rural get-away then this is the home for you." "2,192 sf 3 bd/ 2-1/2 ba home on 10 fenced acres w/ electric gate. Great views. Thick-wall construction, large & bright kitch., Corian counters, quality appliances, whole-house water-filtration system, oversized indoor laundry, vaulted wood w/ beams ceilings, pellet stove, 6 ceiling fans, central vac., 2-car extra-deep garage PLUS a 3rd bay that is a pull-thru, work bench, whole house attic fan, 3 covered patios, tack and hay-storage building, 5,000 gal water storage, tons of parking space, 2 very large open & covered metal structures for vehicles or equipment, storage shed & pens, RV hookup." "Two homes on 6+ acres. 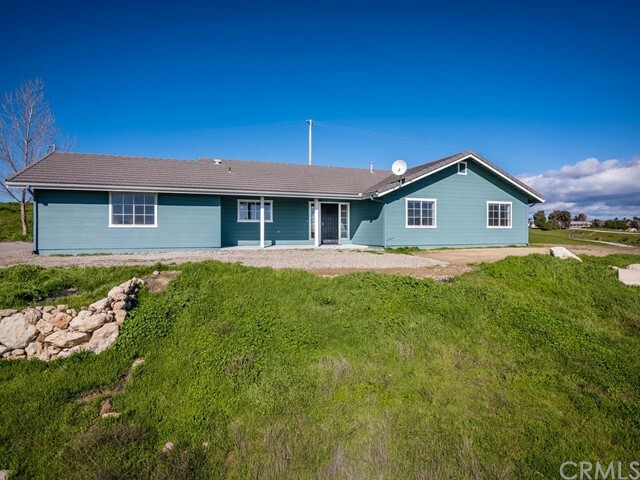 Main home was built in 2005, 3bd, 2ba Ranch style home with amazing views. New flooring, appliances, interior & exterior paint. Second home is manufactured home, 3bd, 2ba with new flooring. Additional buildings include an Office/Guest room, shop building, and sheds for storage. Driveway is paved & gated." "Breathtaking views from this like new manufactured home on a permanent foundation. Offering tremendous 360 degree views and a huge garage/shop that includes guest quarters, as well. The lower portion of the property has a nicely graded pad for future development and the property is fenced and cross fenced for equestrian use. Land with Forever views of rolling hills and vineyards from the front on the expansive front deck that spans the entire front of the home. Off of the dining room there are double french doors that lead out onto the newly completed view deck with pergola and forever views to the west and north. Inside you will find vaulted ceilings, open kitchen, private dining room, spacious master suite with soaking tub and separate shower. Three additional guest rooms, a separate family room and huge living room. Newer paint, flooring and baseboards throughout. Outside, you will enjoy the almost new roof and exterior paint as well as newly professionally manicured front entrance. 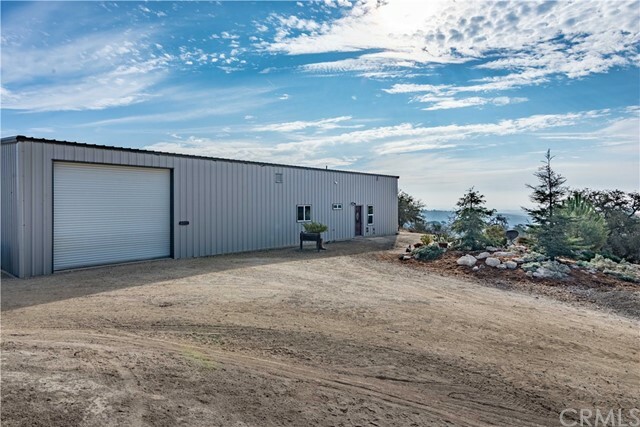 The 1,600+/- sq ft insulated & drywalled Garage/Shop is complete with a large office area and its own bathroom (Would make a great additional living space). Plenty of room for RV parking outside. Pad is cut for a barn or guest house. Only 15 minutes to town. NO HOA or CC&R's!! STREETS ARE NOW PAVED"
"Welcome to Lot 21 at Mission Gardens! This 4 bedroom 2.5 bath home is situated on a beautiful 6,000 +/- square foot lot. Upgraded finishes come standard including: wood cabinetry, granite counters, hand textured walls, wide baseboards, luxury vinyl plank flooring and a high efficiency HVAC system. 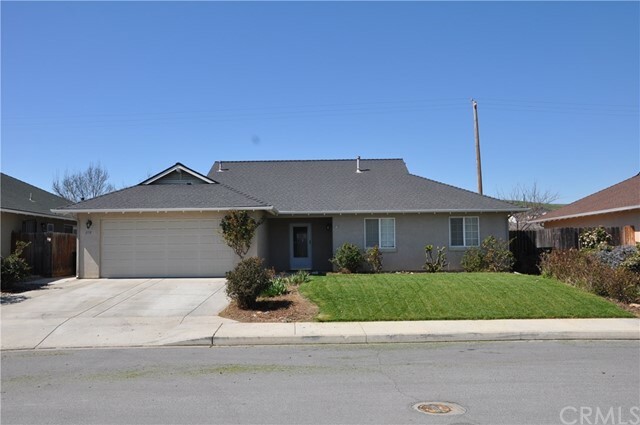 The exterior features a concrete tile roof, 4 part acrylic stucco, drought tolerant landscaping in front yard, finished two car garage and Milgard Windows. Mission Gardens is a family friendly neighborhood located in the heart of San Miguel with NO HOA fees! Lot 21 is estimated for completion May/June 2019. Contact your Realtor today!" "Welcome to Lot 59 at Mission Gardens! This 3 bedroom 2 bath home is situated on a beautiful 6,000 +/- square foot lot. Upgraded finishes come standard including: wood cabinetry, granite counters, stainless steel appliances, hand textured walls, wide baseboards, luxury vinyl plank flooring and a high efficiency HVAC system. 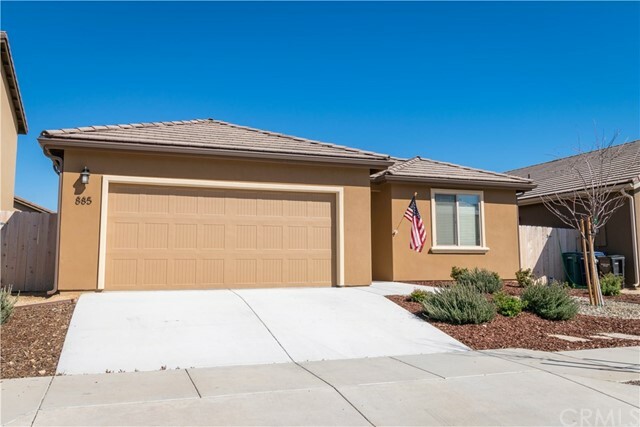 The exterior features a covered patio, concrete tile roof, 4 part acrylic stucco, drought tolerant landscaping in front yard, finished two car garage and Milgard Windows. Mission Gardens is a family friendly neighborhood located in the heart of San Miguel with NO HOA fees! Lot 59 is estimated for completion April/May 2019. Contact your Realtor today!" 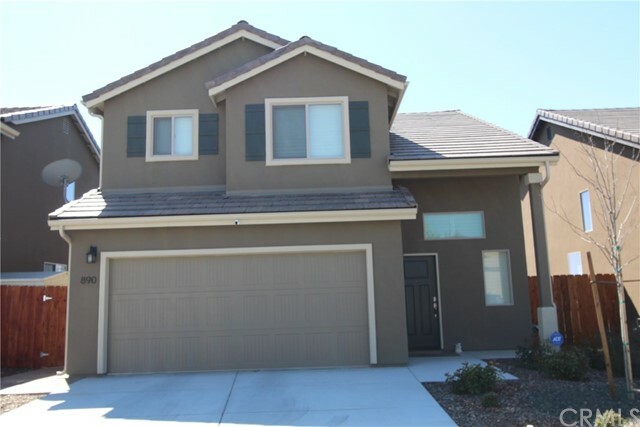 "Great home in Mission Meadows with open floor plan. 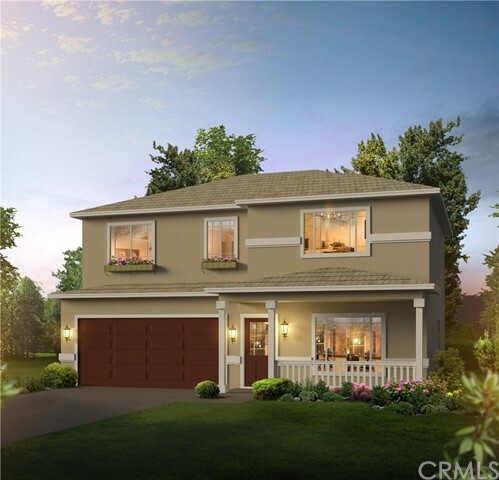 This 4 bedroom /2 bath home is 1745 sq feet and sits at the end of the cul-de-sac. The kitchen is bright and cheery with a large breakfast bar and is open to the living and dining areas. The master suite is set apart from the 3 guest bedrooms and has a large walk-in closet. Other features include ceiling fans, wooden blinds throughout, wired for a security system, refrigerator and washer/dryer included in sale, stone pavers and raised garden beds in the backyard and a rain barrel set up to help with irrigation. Call for your showing today!" "Looking for that adorable, affordable, clean and ready to move-in home? Your search is over! 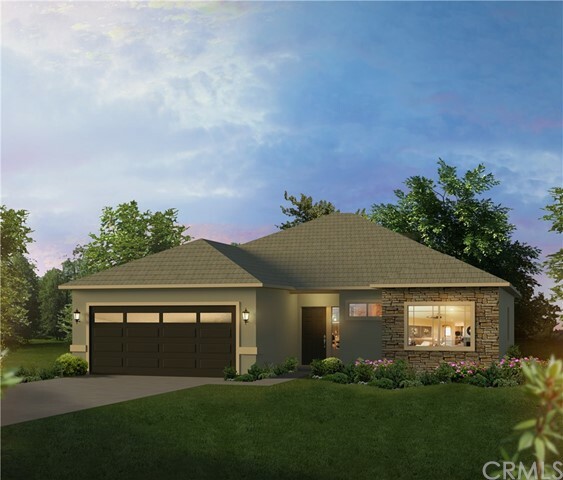 You'll love the open and bright floorplan this 4 bedroom, 2 bath home with 2 car garage has to offer! This dollhouse has had a lot of tender loving care added...the many amenities include gorgeous laminate floors throughout, can and track lighting, spacious kitchen with breakfast bar and pantry, large open dining area and a lovely rear yard and patio...perfect for entertaining! This property won't last long, so stop the car...welcome home!!" "CLEAN SINGLE LEVEL HOME in San Miguel! This house was built less than two years ago and has been lightly lived in. Located in the Jazzy Town development this neighborhood still has the fresh shiny feel of new construction. As you first pull up to the home notice the great curb appeal including a fully landscaped front yard with drought tolerant plants. Through the front door you'll find light colored laminate flooring that immediately gives off a warm feel. To your right you have the first of two spacious guest bedrooms. The two guest bedrooms share a full bathroom including a shower/bathtub combo insert and granite countertops. The living space is open and airy with a well appointed kitchen featuring granite countertops, stainless steel appliances, pantry and a wrap around bar. The master bedroom is roomy with plenty of closet space and has an attached master bath with granite countertops and sliding glass doors on the shower. The back and side yards are a clean slate ready to be made yours. There's also a finished 2 car garage with washer and dryer hookups. If you're looking for a nice comfortable home to call your own come take a look!" "Welcome to JAZZY TOWN in quaint San Miguel in north San Luis Obispo County!! Surrounded by well -known vineyards and wineries, this community is a wonderful place to raise your family or buy your very first home! This 3 bedroom, 2.5 bath home is just over a year old and has wonderful upgraded amenities thru out. Custom plantation shutters , engineered ceramic plank tile flooring, vaulted ceiling, wide baseboards, soft close cabinets and drawers and granite counter tops. Exterior features include a tile roof, acrylic stucco system, fenced yard, stamped concrete walkways and patio and irrigation system in the fully landscaped front yard. There is a nice playground and small park in the community as well. Call your realtor today for a private showing and be ready to fall in love with this lovely home." "Great home in Mission Meadows. Nice walkable neighborhood, In good condition once you look past the tenant's possessions!" 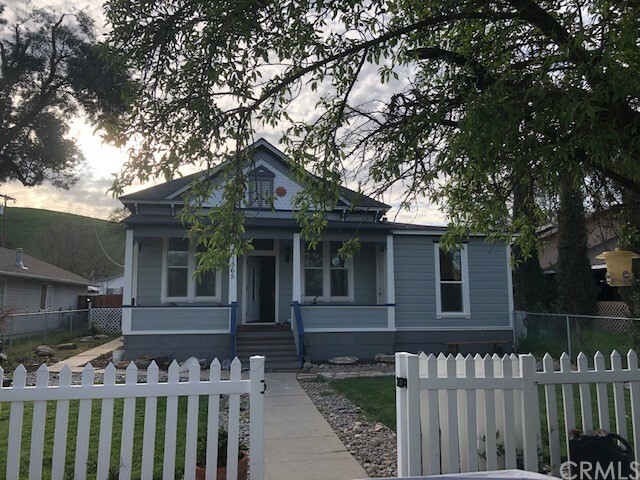 "This majestic frontier Victorian home perfectly blends the concept of conveniently modernized and beautifully restored. The large lot has loads of room for summer BBQ's with friends and the amazing neighbors you are sure to meet. There is room to park your RV or Boat in the back yard using the convenient alley access. Inside the stately high ceilings take you back to a time when life was simple. The contemporary kitchen wraps you with modern design beauty such as timeless granite counters, stylish glass tile back splashes, and sleek modern appliances. A high efficiency mini split air conditioning system will allow cool summer comfort without breaking your budget. The simple and effective wood pellet stove will keep you toasty warm all winter while keeping the gas bill low, although a natural gas wall furnace is provides a great backup. Enjoy the cool evening breezes on the front porch surveying the surrounding green hills and blue skies. The bright enclosed service porch accessed directly from the backyard allows for the ease of an indoor laundry while providing the perfect place to drop your dirty shoes after working in your garden. 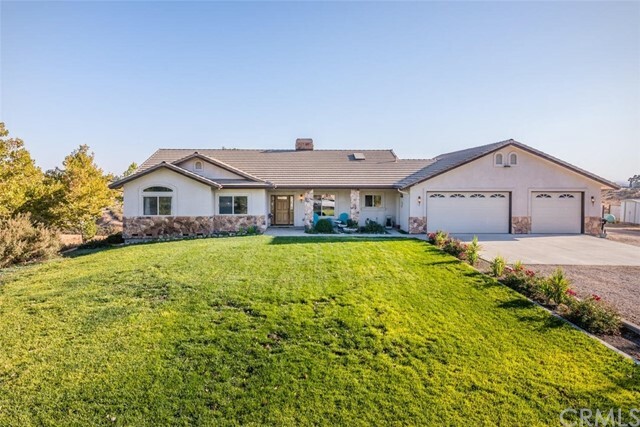 This home is conveniently located only minutes from Paso Robles Shopping as well as over a hundred savory wine tasting experiences while you enjoy the serene vibe of San Miguel, not to mention some amazing local tacos!" 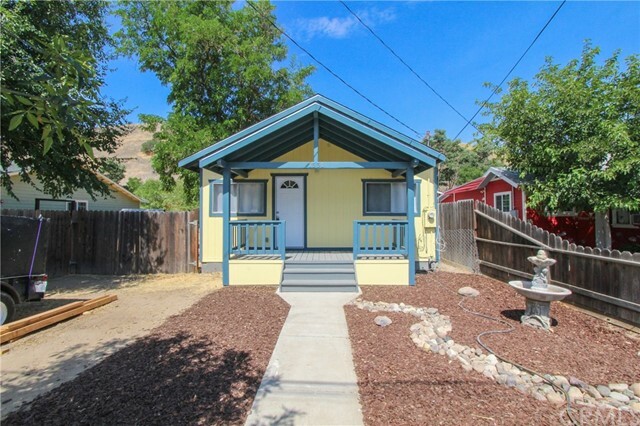 "So much updating has been done to this charming starter home! As you enter the front door you will be able to visualize the improvements. Start with the updated flooring throughout, followed by the kitchen with newer cabinets and granite counters. Don t miss the completely remodeled bathroom and bonus of indoor laundry! How about the roof replacement and newer water heater? Around every corner, this home has been lovingly improved. To compliment the interior, the exterior has been painted and front yard landscaping freshened up. Situated on a spacious lot, you will find room for RV/Boat/Trailer parking. Fenced rear yard is a blank slate to create your own outdoor living."